Answers to some frequently asked questions about IFI International. What service does IFI International provide? Who may avail of IFI’s service? This service is offered to international cultural exhibitors for cultural screenings. A cultural exhibitor is one operating in a non-commercial capacity. 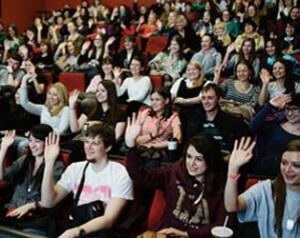 Cultural screenings are conducted on a not-for-profit basis. These may include: film institutes and cinematheques; international film festivals; festivals of Irish film; Irish embassies; EU film festivals; Irish cultural groups; universities; film societies and other special interest groups. Please note that we handle festivals and one-off screenings, and do not service regular events. IFI facilitates access to films held in the IFI Irish Film Archive and to Irish films held by other agencies – such as producers and distributors in Ireland and elsewhere. Films include new and older feature films, documentaries and short films made in or about Ireland. Information on available titles can be viewed at our Film Directory here. Other titles may also be sourced upon request. What screening formats are films available on? IFI can provide films for exhibition on DCP, 35mm, Digi-beta (PAL), Blu-ray and DVD. Other formats may be sourced to meet exhibitor needs. Please note that not all titles are available on all formats. What publicity materials are available? How do I secure permission to screen? Generally it is the job of the exhibitor to secure permission to screen a film in their venue. However, IFI can assist with this process when required. IFI will provide up-to-date contact details for rights holders (i.e. the film’s producer, distributor or sales agent). The Exhibitor will approach rights’ holder; provide details of their event including dates of proposed screening(s); venue address; venue capacity and request permission to screen. Exhibitors will stress the cultural, non-commercial nature of their event. Rights’ holder will authorise screening and provide details of screening fees which may be levied. IFI will not release material from the IFI Irish Film Archive or dispatch material from other sources until written permission to screen has been secured and forwarded to IFI. Exhibitors may not publicise any IFI screening before permission to screen has been secured from relevant rights’ holders. This process may take up to ten weeks or longer. Exhibitors are advised to plan well in advance to allow IFI to ensure films are available following receipt of written permission and to ensure they meet printed programme deadlines. What costs are involved? How can IFI assist? Other associated costs (for which IFI does not provide financial support) include: venue hire, translation (of dialogue and other materials), subtitling, publicity and marketing, guest travel. Are films available with subtitles? Generally most of the films that we handle do not carry subtitles, except where the film is originally in the Irish language and has been subtitled in English. Where a film has been commercially distributed in a particular territory it may be possible to source a subtitled print locally. How can IFI assist with translation? Where possible, IFI will make dialogue lists and DVD reference copies available to facilitate translation. What other financial assistance is available to cultural exhibitors of Irish film? What logos and credits are exhibitors obliged to include on promotional materials? IFI will provide logos to exhibitors upon request (please contact Eleanor Melinn). Exhibitors must also provide a link to the IFI website on their own website. What festivals does IFI International partner with? The following list is not exhaustive. See Events for a full listing of the festivals and events that IFI International supported this year, and the films that screened.